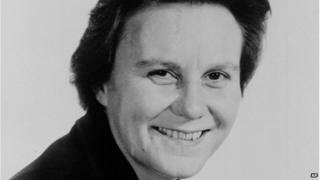 Harper Lee is "extremely hurt" by claims she was pressured into releasing a "lost" novel, her lawyer has told the New York Times. Tonja Carter found the script for Go Set a Watchman among the 88-year-old author's things last year. Following the discovery, some people suggested Lee was manipulated into releasing the decades-old manuscript. It will be the first book released by the American author since To Kill A Mockingbird in 1960s. "Lee is a very strong, independent and wise woman who should be enjoying the discovery of her long-lost novel," Ms Carter told the newspaper. "Instead she is having to defend her own credibility and decision-making". On discovering the manuscript, Ms Carter had assumed it was another copy of To Kill a Mockingbird, unaware that Lee had ever penned another novel. "I was so stunned. At the time I didn't know if it was finished," she said, adding that Lee had reportedly thought the manuscript had long been lost. Written before To Kill A Mockingbird, it features many of the same characters, with an adult Scout Finch returning to her native Alabama from New York to visit her father. The lawyer said she was upset by the suggestion that she would exploit Lee. "Nothing can describe how I feel. I am a lawyer, not a celebrity. The focus should be on the gift Harper Lee is giving the world." The publisher HarperCollins announced last week that it planned to publish Go Set a Watchman later this year, with an initial print run of two million copies. The news was met with some scepticism about the timing, which comes months after the death of Lee's sister, Alice, a lawyer who had shielded her younger sibling from the outside world. Alice, who died last November aged 103, wrote in 2011: "Harper can't see and can't hear and will sign anything put before her by anyone in whom she has confidence." But a spokesman for Penguin Random House said: "Harper Lee still enjoys reading and uses a magnifying machine from the New York Institute for the Blind to read books, newspapers and documents." The story depicts the segregated South of Lee's childhood, during the Depression. It was published at the height of the civil rights struggle. It went on to win a Pulitzer Prize and was adapted into an Oscar-winning film starring Gregory Peck.